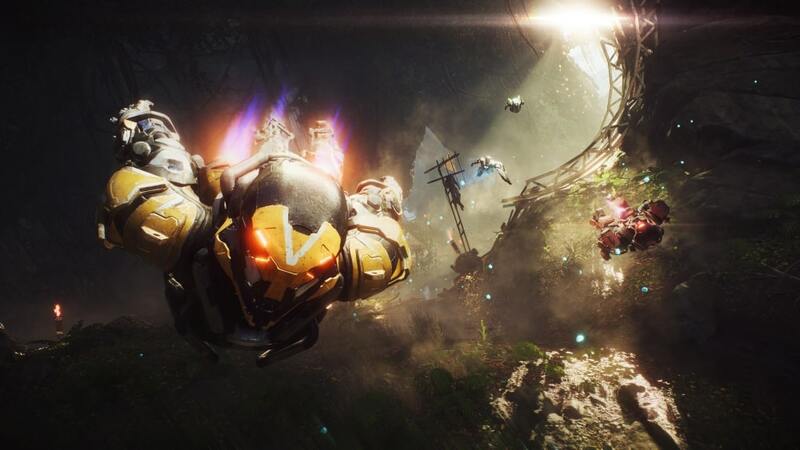 With Anthem set to be playable by everyone later today as it’s open demo starts, some players might be wondering what features the game has that BioWare isn’t making available in the demo. 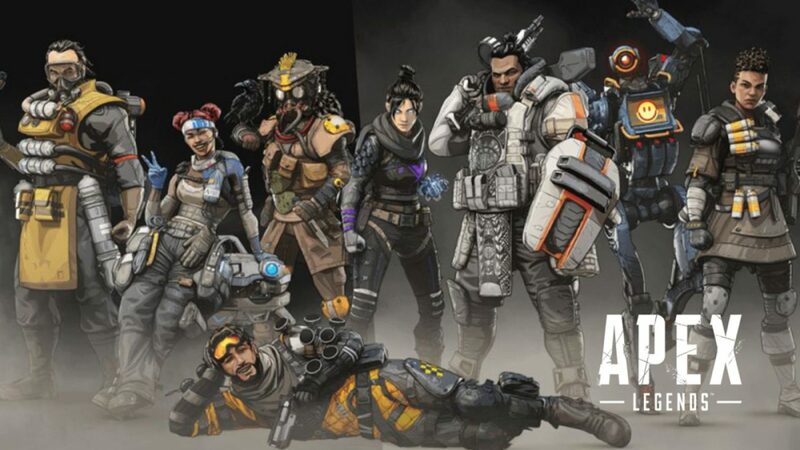 We know that the social hub called the Launch Bay is one, and how the Anthem microtransactions stuff is another. 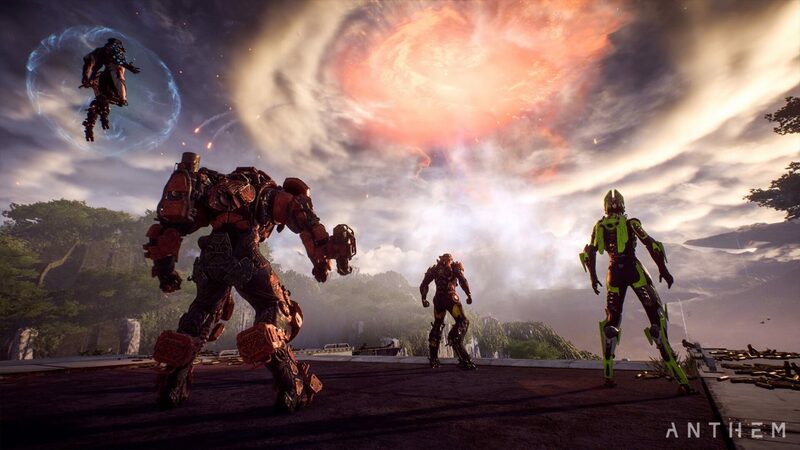 BioWare has already confirmed before that Anthem microtransactions will involve cosmetics and cosmetics only. While we’ve seen how some items will be priced, BioWare has also confirmed that any in-game price of cosmetics aren’t set in stone, and will be changing almost daily. 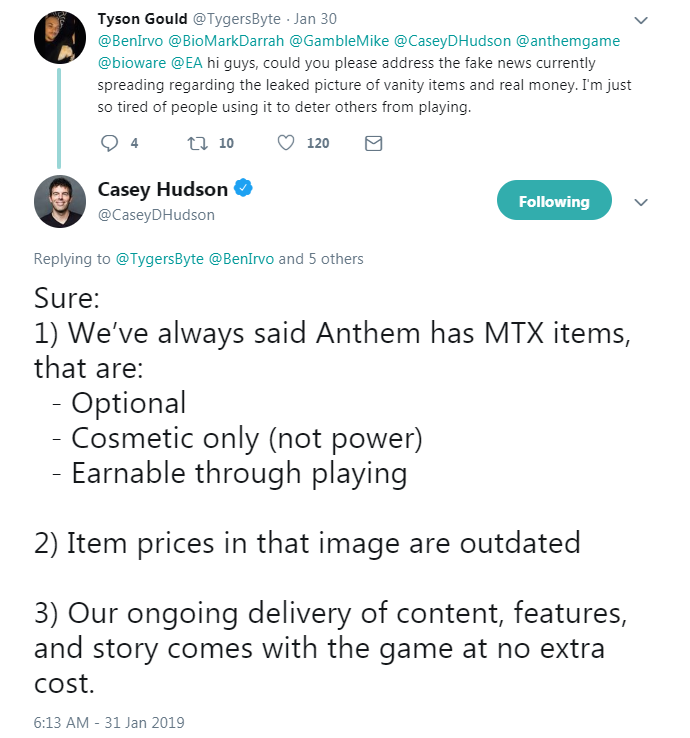 Just to clear the air once and for all, BioWare General Manager Casey Hudson has gone on Twitter to address the Anthem microtransactions for those who might be worried. Sounds good, right? Mind, I’m expecting some badass Anthem cosmetic stuff to make their way that will only be available via real world money, but at least it’s nothing game-breaking, right? 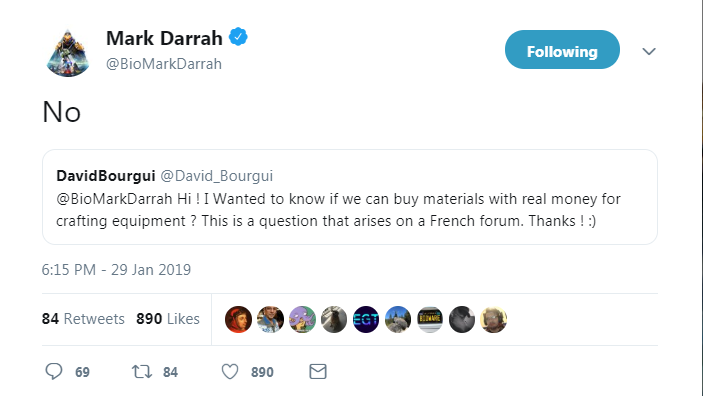 On a related note, if you’re wondering if BioWare will allow crafting materials in Anthem to be purchased using real world money, the answer is a big “NO.” This was answered by Executive Producer Mark Darrah who gave a curt, and straight to the point, “no” when asked. This is good news, right? 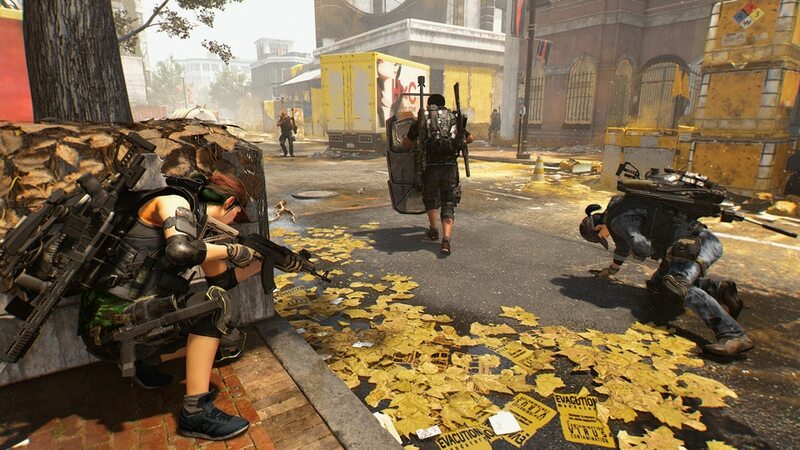 At least this way, “whales” and those who spend real world money won’t be able to one-up people who actually play the game and are, y’know, actually good at at. In other Anthem news, don’t forget, the Anthem demo is set to start later today! 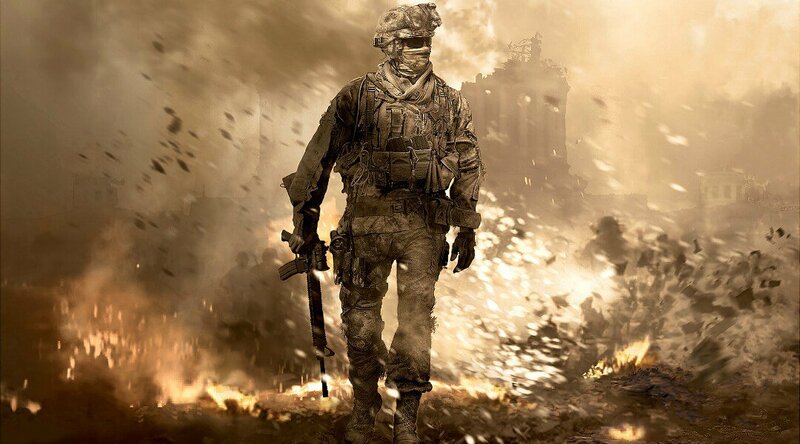 Here’s a link explaining everything you need to know along with the download links.